This sweet and simple little cotton blend white shirt is made by Rosalina, a leading designer of quality childrens' apparel. 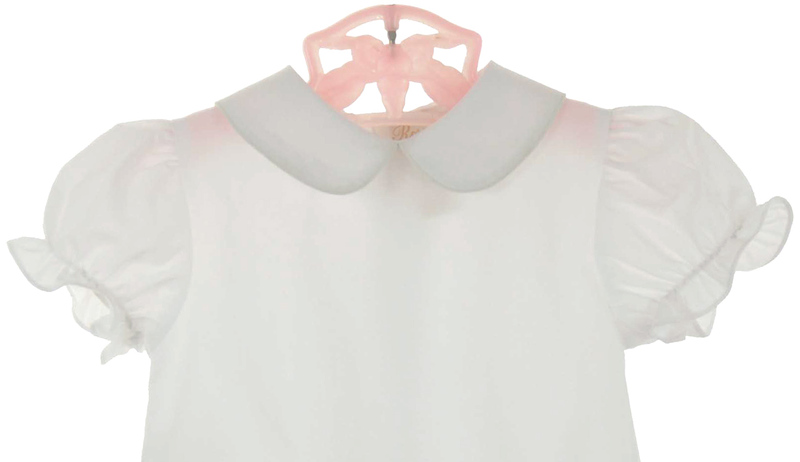 It features a Peter Pan collar, short puffled sleeves finished with elasticized ruffles and a back buttoned closure. The snap crotch with elasticized leg openings ensures no worries about untucked shirt tails. Perfect for your baby girl to wear under her summer rompers to extend them for fall and winter wear! 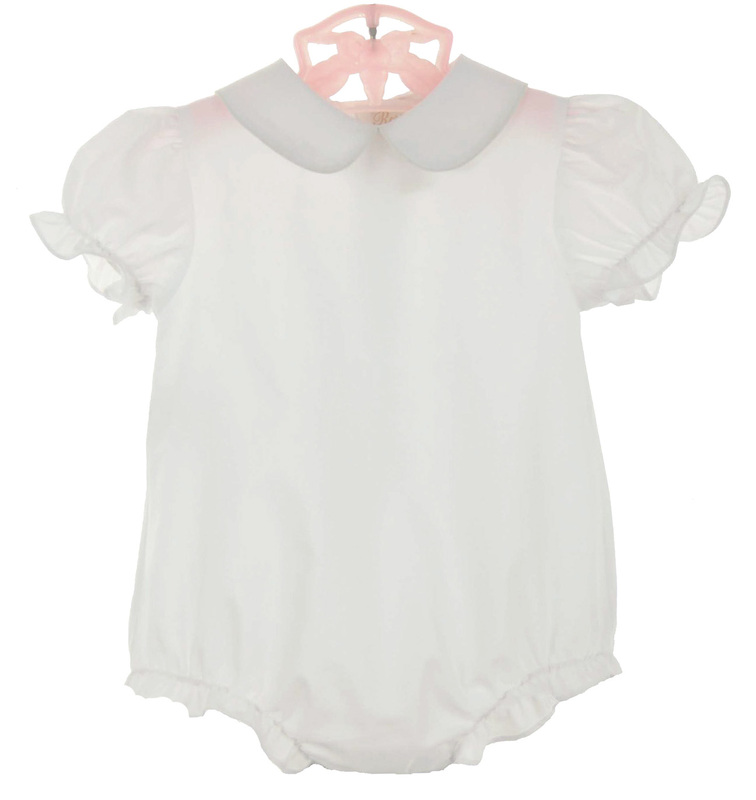 Also the ideal little shirt to wear with a jumper or dressed up with a holiday or monogrammed collar. Note: This darling little shirt is also available with long sleeves. A similar shirt is available for boys, too. See below.